After 25 seasons as Principal Clarinet of the Minnesota Orchestra, BURT HARA joins the Los Angeles Philharmonic as the new Associate Principal Clarinet. He has served as Principal Clarinet of the Philadelphia Orchestra and the Alabama Symphony Orchestra, and has also performed with the New York Philharmonic, the Saint Louis Symphony, the Saint Paul Chamber Orchestra, the Baltimore Symphony, and the Seattle Symphony. At the age of 14 Hara made his solo debut with the Los Angeles Philharmonic. 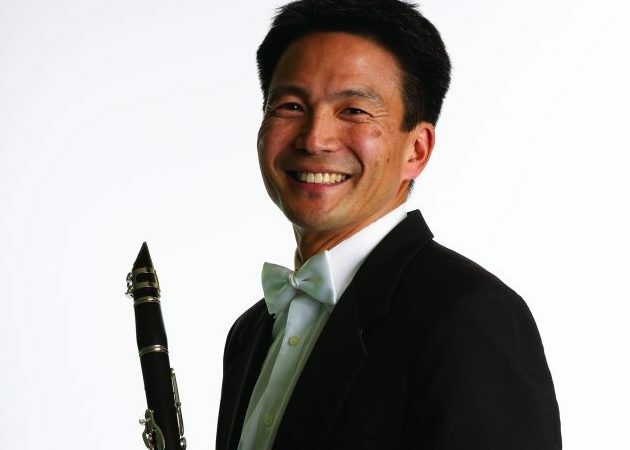 A frequent soloist with the Minnesota Orchestra, Hara has also soloed with the Philadelphia Orchestra, the Tucson Symphony, the Alabama Symphony, Aspen Chamber Symphony, Cedar Rapids Symphony, the Quad Cities Symphony, the Fargo-Moorhead Symphony, and the Monterey Symphony.Hara is on the faculty at the Aspen Music Festival and the Principal Clarinet of the Aspen Chamber Symphony.An active chamber musician, Hara performs regularly at Summer Festivals around the country. This summer he will perform at the Aspen Music Festival, Summerfest in La Jolla, Music in the Vineyards in Napa Valley, and the Bach Dancing and Dynamite Festival in Madison, Wisconsin. He has performed regularly with the Chamber Music Society of Minnesota and on the Minnesota Orchestra’s Chamber music series.Hara is a graduate of the Curtis Institute of Music, where he studied with Donald Montanaro. His principal teachers also include Yehuda Gilad and Mitchell Lurie. Burt Hara is a Buffet Crampon USA and Vandoren performing artist.